Hanoi (VNA) - The FIFA Referees’ Committee have appointed Truong Quoc Dung to referee at the FIFA Futsal World Cup in Colombia from September 10 to October 1. Dung is the most outstanding futsal umpire in the country at present, according to the Vietnam Football Federation. Dung, 33, was recognised as a FIFA-level referee in 2009 and he is the only Vietnamese referee attending big tournaments in the ASEAN and Asia region. 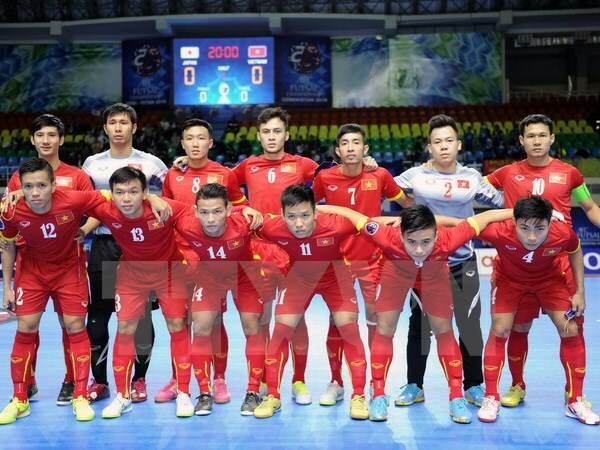 “Refereeing at a world event is a great honour for me in particular and for Vietnam futsal referees in general. Facing world-level teams will help me have more driving force to overcome challenges,” said Dung. He also said that Vietnam’s achievement of gaining a ticket to compete in the coming FIFA event helps Vietnamese referees have more chances to improve themselves.